Whenever Fifties and Rong met up it always turned out to be a promising event for ethanol use. Bottles of whiskey evapourated without trace but bottles of beer were traceable to the sewers found in any town they met up, courtesy, their using. However, both guys appeared to be in denial of the edification they got out of drinking together. They never met up for trivial or leisure purposes but ended up using ethanol most creatively using the ‘logic of one’ in a self-deceiving way. The ‘logic of one’ had started at their very first drinking meeting five years ago in St Albans. Rong had suggested they go and have ‘one’ drink each, ‘one-one’. It was one can Heineken export (0.5 litres) each, a lovely drink that evening. As the evening rolled on, both men started looking for ways to defy rule of ‘one-one’. The square and cube of one did not work since the result was, one. Fifties had suggested that a second can would make “one” litre of Heineken each to which Rong eagerly agreed. The second can was even better. Then Rong came up with an approximation solution to enable more drinking; he had deduced 1.49 was approximately 1.0 with reference to one significant figure thus permitting the third can. By the fourth to eighth cans they both pretended to be too drunk to have remembered obeying the rule of ‘one-one’, yet they played Scrabble till dawn after. Ever since then Rong and Fifties were friends for life but they never met up more than three times a year. This occasion was the only time they had met up in Lagos. The two men walked into Bar Enclave to have a drink. It was late and the joint was no longer serving food or drink. Enclavio, the owner, dress in a fine suit attempted to diplomatically tell them the place had closed. “Sorry gentlemen we are closed for the night” Enclavio said with a warm smile. “I hear you have a bottle of Johnnie Walker Blue Label on display, how much do you sell it?” Rong asked haughtily. “N25,000 but we are closed” said Enclavio now looking stern. “Okay. I will pay you N30,000 to drink it now within one hour. I may even have other drinks. And please this is not a bribe it is an auction”. All four men in the bar started laughing at Rong’s wit and the bottle of whisky was served. Earlier in the day both men had met up look at multi-agent systems model was Fifties designing and it was an unusually productive event despite the noise and distraction bubbling inside a Mama Cass restaurant. However, now in Bar Enclave Fifties wore his indignation like a trademark and could with less than average effort freeze or thaw it with mostly good timing. Fifties was angry about some comments Rong and others had made on Twitter that supported his conclusions but not his approach to a problem. Anyone who knew Fifties well would know when he went into controversy mode he was very reluctant to drink till the matter was settled after which he would guzzle his whole share of the ethanol in minutes. Rong was on his third shot of whisky with a Heineken chaser; Fifties had not touched his first whisky. Fifties argument was that Nigerian politicians never used data and indices to formulate issues debates during election or non-election season and as such Nigeria’s democracy would remain stunted ideologically methodologically. Fifties volleyed “Will you not agree with Deidre McCloskey when she says codified measures are just as good a s statistical measures?” to which Rong responded “What is your point?” Fifties slightly offended by Rong’s tone replied “Any measure that is credible and can be benchmarked is useful so I do not know why you are using McCloskey as an excuse to dismiss value of statistical data in political economy”. Fifties was a tall guy in his early 30s with a goatee. He got his nickname from going halves with people who wanted smoke on his account. He was generous with booze but not cigarettes. Behind his hard drinking preferences were a very sharp and a very pragmatic approach to life. He was spoilt and from a very privileged background but acted like a radical that had arisen from the shanty towns to become respectable for his ideas and perspectives. Fifties sometimes hated Rong because he could say anything and adequately defend it but he admired deceptively reckless attitude to everything in life; he always knew what he was doing. Rong was perhaps a fifty year old and a widower. A bright chap with doctorates in physics and political science; he was an all-welcoming soul. Tall, muscular and effortlessly charismatic, the loss of his wife turned him into a mild misanthrope. Rong’s Tara had died with his baby male child shortly after the birth; he had witnessed it all, the ecstasy then the despair. He met Tara while they were both research students at SOAS. She was a very plump but very beautiful lady with a great brain and a big trust fund. Tara’s death saw Rong going from sharing a one bedroom flat with her in London and living on a research fellow’s salary to being worth close to £4 million. He never went back to work and doubled the fortune. Rong liked Fifties for his honesty, fortitude and daring mind. Rong’s phone rang interrupting Fifties’ tirade. As he was trying to retrieve the phone from his jacket he said with confidence, “That must me Roisin” then answered the call. Rong’s flamboyant aura switched abruptly sterile dirge-likeness. Fifties and Enclavio knew it had to be bad news. Throughout the three minute phone conversation uttered two words and phrase, “what?”, “really?”, “can I call you back?” The call ended. Rong’s hyper-pragmatic rationality failed him this time to the point of an ufuous emotional overwhelming; he was weeping with a moan universally witnessed when one lost something of irreplaceable value with no hope of restoration. He moaned, “My sweetheart is dead. She…” and continued his moany weeping. The moan in his weeping did not take long to change into heavy sobbing. 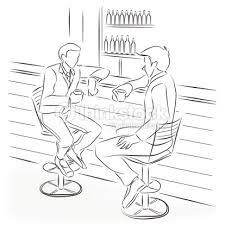 Enclavio behind the bar and Fifties sitting on a high stool besides him were concerned and wanted to console Rong but intuitively knew not to do so and that saying nothing was best. Fifties ignored his intuition and put his arm around Rong’s shoulder and in a most soothing manner, “May God give you the strength to…” Rong responded by throwing his empty glass at the toilet door and hollered, “Don’t bring God into this and don’t make me blaspheme”. Rong was deeply indignant with God but always remained a keen believer when major misfortune struck him and such had happened too many times in his lifetime so far. Rong’s father had recently told him he deserved a Job’s Medal from God for remaining faithful to God misfortune after misfortune. But as strong as Rong’s faith was, he was not a rule-following Christian; Rong did not like rules. Rong got up in an uncertain bold manner and went straight to the toilet crunching some of the broken glass with shoes as he traversed the door. He washed his hands and face as if he was doing a Muslim’s ablution then to a good look into the big clear mirror above the sink. What he saw he did not like. He had wrinkles that creams could banish, a very low haircut that hid his greying and balding and discoloured blood shot eyes. His vanity told him he was no longer that cutely handsome man he used to be. As Rong regarded his mirror image looking back at him they were locked in a deep silent conversation with each other. His mirror image told he very bluntly he was a hiding man in a very surreptitious way. He had deftly hidden with near genius from many things with justifications that could easily pass the Poppers ‘falsifiability test’; work, responsibility, God, love, friends and family never saw much of any form of engagement from him. Rong painfully conceded that in spite of his prodigious and versatile intellectual gifts the ‘logic of one’ was never going to work with a woman or a man. He was alone as one. Tara who he affectionately called BB (short for Bumble Bee) had inspired him to be responsible and strong in every sense especially love. Her overweight beauty was a constant amazement to him that even death did not cease. When he had the time he would stroke and admire her naked body with adulation. He also appreciated her for her good nature and for putting up with his crazy ways. Her death had broken him. He could not see Tara in the mirror. He could not find Roisin in the mirror either. He befriended Roisin who he called RMA (Roisin my Amazon) because she had filled the gap and eased his pain of losing Tara. Roisin was a typical ENTJ personality, in control and leading the vanguard. She too had a body Rong adored. Rong considered his knowing Roisin as the true Zeitgeist in his life and it was true. He even admitted to his friends he felt safe with Roisin who thought he was ultra-macho. Now she was dead. Rong was never going to seek a female romantic partner in his life ever again. Rong was only eight years old when he left for prep boarding school. It tore him away from his mother who had weened him to adore her. One of two black boys in his boarding school he had used selfish fierce competitiveness to cope with being a tearaway from his mother. Conquests though sweet as Rong achieved them often against all odd could never fill the gap of his separation from his mother till he met Tara then Roisin. Every other important woman in his life, tutor, professor, lovers, wife, mother, and lawyer were now all dead. Rong had always coped with each loss by excelling in some competitive sphere of activity, the riskier the better, but looking into the mirror he knew that was not going to happen this time. His image had told him to turn away from proving he was not lonely by engendering the remorseless spirit of conquest. Rong then said to his image in the mirror, “Alone did I come to this world and alone shall I leave” almost unsure of his words but his image replied “That is the way it is”. The response from his image in the mirror had been what he was waiting for and did not care whether it was real, a hallucination or imagined. It was reassurance alone that kept Rong from the doldrums of loneliness but he sort it through conquest. Rong came out of the toilet into the bar. Fifties and Enclavio were keenly waiting for him and resisted numerous almost decisive temptations to knock on the toilet door to ask how he was doing; he must have spent a quarter of an hour in there. He took a seat by Fifties who poured a double shot and Rong drank it without uttering a word. His phone then rang again and he answered. His only three words during the one minute long conversation were “hello”, “okay” and “thank you”. Rong at the end of the call suddenly burst into the kind of laughter only ancestors in their invisible ceremonies could permit a descendant. He was now ready to tell Fifties and Enclavio the reasons behind his tears and laughter. The first phone-call had been from Clodagh, Roisin’s sister, to inform him that Roisin had died in that night in an airport shuttle bus accident in Brazil. The second phone-call was from Aoife, Roisin’s mother, to tell him that there were two Rosin Murphys on the shuttle bus and hers had survived uninjured. Clodagh was too shaken and embarrassed to have handled the second phone call to Rong. It had been ‘rock bottom to high heavens’ event. The circumstance of feeling crushing sadness then elating happiness in just twenty minutes was quite a baptism. He was baptised into the ‘knowledge of one’; never again would he depend on another for happiness and reassurance but he was infinitely happy that his companionship with Roisin would endure. Rong had twenty minutes to drink with Fifties till Enclavio kicked them out but he also intended to visit the mirror in the toilet one more time, maybe he could find out more about himself as one.